Radiators in the home are an essential part of any central heating system. The appliances work as a conductor for water (or sometimes steam) which is heated by the boiler and circulated through a network of pipes fitted in the home. As hot water is passed through the radiator the heat is transferred into a room. There are two main types of radiators, these being single pipe and double pipe. Single pipe radiators work with steam, while double pipe use steam or hot water. Central heating radiators are typically fashioned in a standard rectangle shape and can be mounted either horizontally or vertically. You can see more radiator types in our guide to traditional and contemporary style radiators. One of the best designs for central heating radiators is the column-type as this design promotes even heat distribution. Vertical radiators or Victorian radiators also provide efficient heating and a different choice from the traditional style. Finding a good quality central heating radiator does not necessarily mean high costs for the buyer. A good radiator will vary in price depending on its style and size, but if your are looking to keep costs low then the internet is a good place to look for deals. Today, radiators are not only heating aids for the home but can also be decorative devices. While many households still opt for a classical look there are also modern designs and materials to consider such as chrome and glass. If you are wishing to install new radiators then local dealers and experts are a recommended place to start as they can suggest the best size of radiator for each room and explain about installation and cost comparisons. Energy efficiency is the key to any reduction in heating costs and greenhouse gasses and one way of achieving this is by installing new style thermostatically controlled radiators. This allows you to set each individual radiator to a temperature suitable for the room, for instance you may want to set a bedroom or spare room lower than that of the bathroom. Each radiator is fitted with a thermostatic valve (TRV) which controls the flow of water effectively regulating the temperature. It’s important not to put a TRV on a radiator in the same room as the main thermostat as this can fool the system into thinking the house is at a lower temperature than it really is and try to heat the system when not required. When used correctly TRVs are a great way to reduce energy and heating costs. 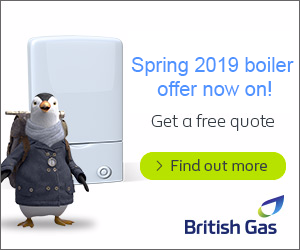 With every British Gas central heating system you’ll be offered a choice of radiator designs in keeping with your property, whether that’s a Victorian terrace or contemporary refurb there’ll be a design to suit. This is just a small selection of radiators available and are only available with a central heating installation. More Info. The Big One A modern vertical style radiator with excellent performance offering a 1 – 5 tube design. The Halo Available in 5 sizes from 0.8 – 1.8m in height this contemporary radiator looks good in any Kitchen or Bathroom. The Hot Box A unique towel warmer design in stainless steel offers great functionality in a space saving design. Matrix AAvailable in horizontal, vertical or even mirrored, these flat fronted radiators are adaptable for any home. Liberty Modern heating performance coupled to traditional design. Premier Modern styling and very popular choice due to it’s high efficiency and timeless design. Stax With practical stylish design this towel warmer is great for those cold winter mornings. PREVIOUS POST What is an Energy Performance Certificate (EPC)? NEXT POST Do you qualify for a Warm Front Grant?